Sometimes it's easy for us to borrow goods from each other, both with family and friends. But for the 5 types of objects below, it's a good idea to think again before deciding to use these items together, because these objects can be a good tool for transferring bacteria and disease from one person to another. Toothbrush serves to clean plaque and food scraps from the teeth. 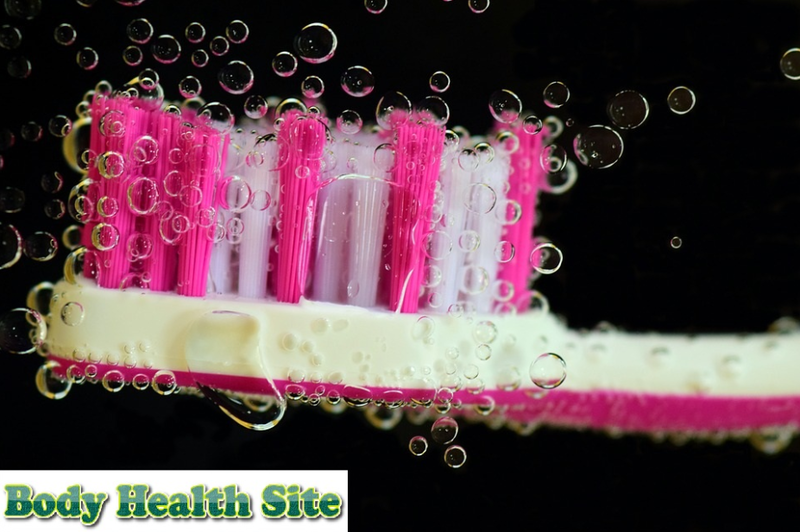 This makes the toothbrush contaminated with various microorganisms, bacteria, saliva, food scraps, toothbrushes, even blood, so cleaning your toothbrush after brushing your teeth is an important step to always keep the toothbrush clean. But even though it has been cleaned using running water, your toothbrush can still keep all the bacteria and food scraps. You certainly don't want to get additional bacterial contamination from the toothbrush you borrow from someone else. In addition, using toothbrushes together can increase the risk of spreading blood-borne diseases. The American Dental Association states that sharing toothbrushes can increase the likelihood of infection, and this risk increases in those who have a weakened immune system due to congenital infectious diseases. According to the Centers for Disease Control and Prevention, various infectious diseases can be transmitted through the use of towels together. From starting to eye infections that result in red eyes, to gonorrhea. The spread of this infection is easier to occur if the towel is wet. The type of Staphylococcus bacteria contained in a towel can survive several hours, days, or even several months. This happens because the towel is often so moist that it becomes a favorite place for nesting bacteria. You are advised to replace your towel at least once a week, hang it dry before reuse, and do not borrow towels from one another. Wearing a makeup tool together may often be done. When sharing makeup, the riskiest is the eyes. Eye diseases such as conjunctivitis and red eye are the most easily transmitted diseases because the period of transmission of the disease is not always the same as the appearance of signs of disease. The use of lipstick together also increases the risk of spreading infectious diseases, such as herpes. This disease caused by herpes simplex virus causes blisters to blister on the lips. This wound may look like regular canker sores, so it is not realized that it can be transmitted to other people. You might think that using a razor together won't be dangerous because it's only used on the surface of the skin. But actually, the use of razors together can increase the risk of transmission of hepatitis B, hepatitis C, and even HIV. When using a razor, you have the possibility to get hurt, so that the transmission of this disease can occur through the blood. As quoted from Women 's Health Magazine, Bethanee J. Schlosser, M.D., Ph.D., director of the Women's Skin Health Program for Northwestern Medicine, said that sharing razors can also spread fungal infections, especially the type of tinea corporis, a type of fungus that causes ringworm. In addition, you are advised to replace the razor after 5-10 times of use. Of course, it will be easier for you to monitor the use of a razor if you use the razor yourself. Using deodorants or antiperspirants together doesn't really increase your risk of contracting a particular infection. Deodorants function to reduce body odor by killing armpit bacteria, deodorants themselves contain anti-bacterial properties. However, antiperspirants only function to inhibit the work of the sweat glands, so there can still be antiperspirant bacteria that you borrow. This type of deodorant also affects the spread of bacteria. Stick-shaped deodorants are usually dry. If this type of deodorant is used together, what might happen is the transfer of skin cells and armpit hair. But if the deodorant is of a roll-on type, the spread of bacteria is easier because the wet and sticky texture is easily infested by bacteria. 0 Response to "5 Things You Can Not Lend, For Health"